There is not a lot to tell about for this section of our trip. A pretty fast bit of travel for 5 days. A quick few hour tour of waterfalls at Wells Gray Provincial Park along the way, a weeks stay at pretty campsite on the shore of Okanagan Lake and then back in the USA. We crossed the border at Osoyoos, BC—Oroville, WA. 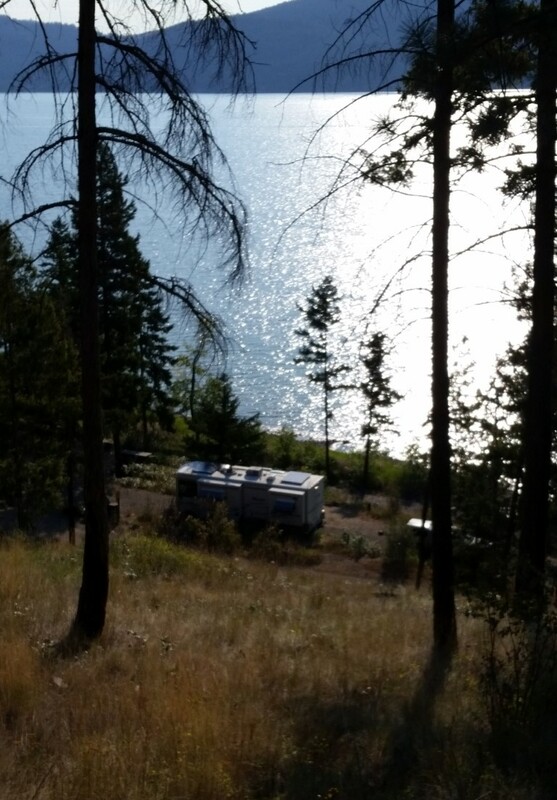 I chose this route, 1) because I didn’t want to get back into the US until after Labor Day weekend, 2) because I didn’t want to drive back down I-5, 3) because Okanagan Lake looks like a pretty place to stay. We left Stewart/Hyder area and for us a bit of fast travel. Five days of travel, 240, 260, 200, 50, and 160 miles. No two night stops. Our overnight stops were at highway rest stops, a mall parking lot and one night at a motel/RV park on the edge of the North Thompson River. 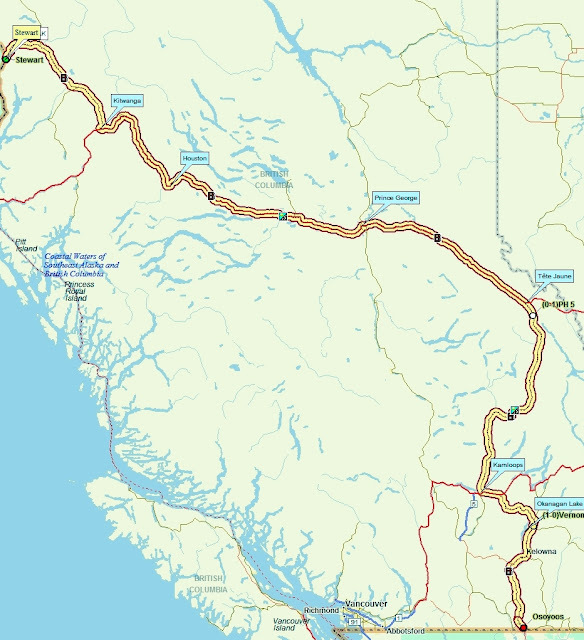 From Stewart we finished the last 100 miles of the Cassiar Hwy and picked up PH-16 east for about 470 miles. 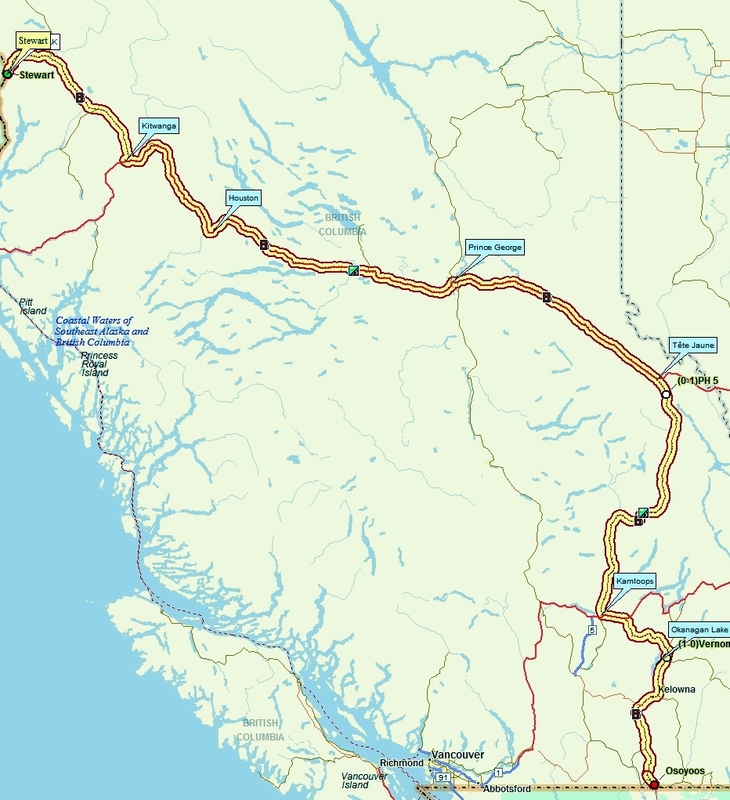 Then south on Yellowhead Hwy, PH-5 and finally PH-97 to Lake Okanagan. Along the way we stopped for about 4 hours at Wells Gray Provincial Park near Clearwater, BC. We left the motorhome at the Visitor Center in Clearwater and drove the truck into the park to see the pretty waterfalls. It was a cloudy misty day but the falls were nice. If the weather had been sunny we may have stopped for a couple of days. From up above the falls. This is NOT the view you want to see if you are in a canoe! We spent a quiet 7 nights at Evely CG, a BC Recreation CG in a fairly remote area on the west side of Okanagan Lake across from Vernon, BC. Price was very nice at $6/night. This was the senior rate. Not sure non-BC residents were supposed to get this rate, but that is what the Camp Host collecting the fees told us to pay. We were parked almost on the edge of the lake with a nice view. If you ever have plans on camping in British Columbia be sure to check out all the free or very low cost and very scenic CG’s available through the British Columbia Recreation Sites and Trails. 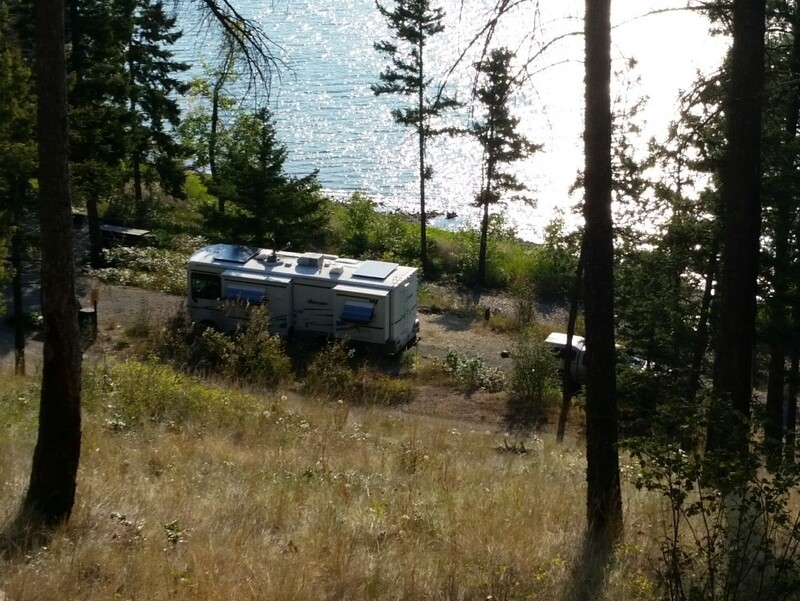 Many of the CG’s have campsites right on the water, with fantastic views. These sites are much different from the Provincial Parks. Once on the website, click on “Locations” and drill down through the pages to get to the area you will be visiting. Be aware that the exact location of a CG is not easy to find on a map or Google Earth. Also many of the CG’s are a number of miles down gravel roads. Sometimes it is best to park your RV somewhere and drive your toad or tow vehicle to check out the road and CG. If you have the time and desire these CG’s can be fantastic. On Labor Day we crossed the border into the US and spent the night at a CG in Oroville, WA. It took us another week of slow travel to get back to Hillsboro, OR. 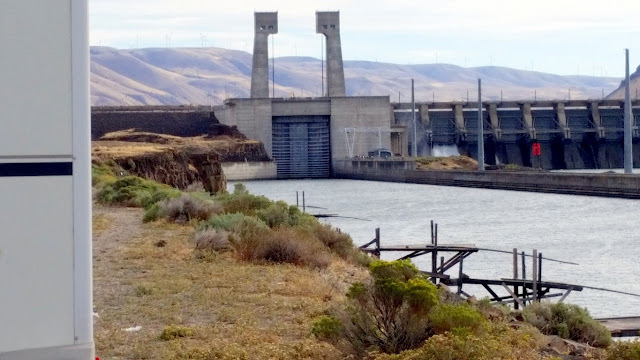 One of our stops was just below John Day Dam, on the Columbia River, with a nice view of the barges and boats going though the locks at the dam. Columbia River & Mt Hood from our boondocking spot. Morning view of river and Mt Hood in distance. 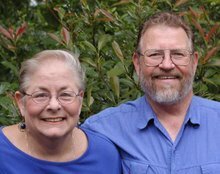 We spent the remainder of September visiting and camping with with our Son, DIL & two grandsons before heading back to Texas. Great trip to Alaska and back. Link back to the Alaska blog index page.